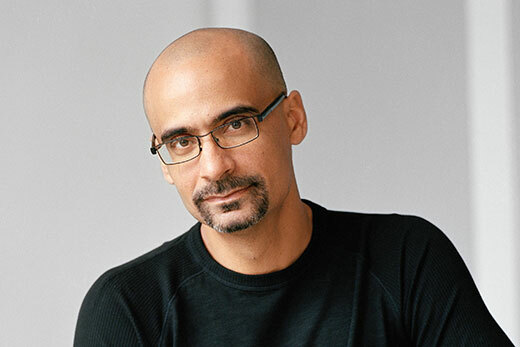 Critically acclaimed writer Junot Díaz will present this year’s Goodrich C. White Lecture at 7:30 p.m., Wednesday, April 12, in the Schwartz Center for Performing Arts on the Emory campus. A book signing will follow. Billed as “An Evening with Junot Díaz,” the hour-plus talk will range across topics that have engaged Díaz throughout his award-winning career as an author—the immigrant experience, civic sensibility, community, race, justice, equality, and of course, writing. He also will read from his work. The event is free and open to the public. Born in the Dominican Republic and raised in New Jersey, Díaz is the author of the 2007 novel “The Brief Wondrous Life of Oscar Wao,” which won the Pulitzer Prize for fiction and the National Book Critics Circle Award. His first collection of short stories, “Drown” (1996), earned him recognition as one of the foremost contemporary practitioners of the art of the short story. His latest collection of stories, “This Is How You Lose Her” (2012), was a New York Times bestseller and a finalist for the National Book Award. Díaz has received a MacArthur “Genius” Fellowship, the PEN/Malamud Award, the Dayton Literary Peace Prize, a Guggenheim Fellowship, and the PEN/O. Henry Award. A graduate of Rutgers College, he is the fiction editor at Boston Review and the Rudge and Nancy Allen Professor of Writing at the Massachusetts Institute of Technology. The Goodrich C. White Lecture was created and endowed by the DVS Senior Society of Emory University to honor the legacy of Emory’s 14th president, who was a member of the society in the Class of 1908 and served as president from 1942 to 1957.